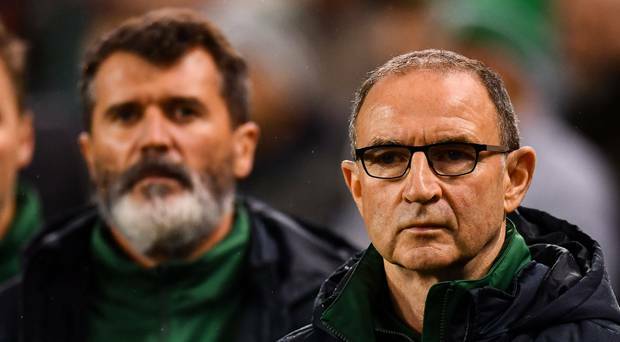 The FAI confirmed this morning that Martin O’Neill and Roy Keane have left their positions as manager and assistant manager of the Republic of Ireland after coming to a “mutual agreement”, the association said in a statement. The decision came after prolonged talks took place in the UK between FAI chief executive John Delaney and O’Neil. Both Seamus McDonagh (goalkeeping coach) and Steve Guppy (assistant coach) have also left. In a statement released by the FAI Delaney thanked both O’Neill and Keane for helping Ireland qualify for Euro 2016. “I would like to thank Martin, Roy, and the management team for the impact that they had with the Ireland team. There have been many highlights during Martin’s reign – none more so than EURO 2016 in France, which will live long in the memory of all Irish supporters. “I wish Martin, and the management team, the very best for the future,” said Delaney. During his five year tenure, O’Neill gave 28 players their first senior caps including Michael Obafemi on Monday night. O’Neill’s departure comes after Ireland were relegated from their Nations league group and having only secured one win in 11 games. The Derryman has also come under increased criticism for the unattractive style of football his side has been playing. Mick McCarthy is the favourite to take over from O’Neill who has been out of a job since leaving Ipswich in April.